Let’s have coffee would be the usual call amongst politicians. This time it was lets go for “Ice-Lemon Tea at Secret Recipe’. Is it the same thing? Could it be just another approach and a very “clever way ‘by some members from PRS Ngemah as they invited audie61. Are they putting cold water already even before sitting me down to have another round of political chit-chat? Orders given to the waiters for Ice Lemon tea and first thing on their agenda reads,”Winnable candidates says PM and not only the grassroots or warlords will have much say.” You Heard it right..? Someone in the PRS group from Ngemah interjected and said his piece,”before he was clean he still losts and today I ask you and he will know what we mean if we are ask him again,”Has he been cleansed? It was quite a show of frustration from the BN grassroot committee members but what they have said is unpublishable. It is really up to the BN/PRS election committee to choose their own candidate or else they will again suffer the same fate. audie61 will not take sides. 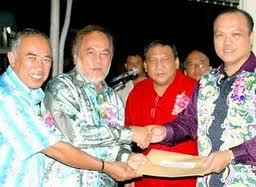 Alex Vincent the 2006 candidate has still the upper hand in being the “chosen and annointed candidate” of PRS/BN. However there are others who are not only quietly campaigning to have their names on the final lists. Those who are not in the party will not know them or even crossed their paths and they are wanting to be heard by the BN leadership. Amongst them are Dr. Joseph Jawa Kendawang and also Peter Telajan . PKR candidates likewise would also be trying to impress their election committee members on how to be the candidate for their party. Sources on the ground has informed us that Richard Lias is the most likely candidate for PKR/Pakatan. It could also be Ellison Ludan. PCM would field their incumbent assemblyman in YB Gabriel Adeh @ Adit Ak Demong. Will he be able to fend off all the pretenders to the throne of N43 Ngemah? Our source already cautioned us and that with justs a little “ more help” we would not be surprise if Gabriel retains his seat. It will not be easy though as there are others who are more than capable of putting in or create another surprise. The names of Dr. Robert Menua , William Baja Jap, Tan Seliong,Warren Aris and others will be watching closely on how the situation on the ground unfolds. As election day draws near more and more dirt and issues are being raised or uncovered. The question now on everyone’s lips are “Winnable candidates” and N43 is no exception. The people will know who will move their agenda forward especially it involves their constituency and they will not be fooled no more. It is already a borderless world and all required information will be able to reach the ground. Gone are the days where there is “NO CHOICE” of credible and winnable candidates. The jostling for the right instead of the winnable candidates will and might just open the floodgates for the right to contest as Independants for some. In some countries independants have and are considered the third force and in N43 the mood of independant winning might just happen. N43 will not only see three parties fighting it out to be the “Peoples Representative for the area’. The word on the ground is that there will also be a number of independants who will play the role of spoilers. Love or Loathe Him Gabriel Adit knows how to position himself and must not be taken lightly. NGEMAH N43 will be a Very Interesting and Bitterly Contested Seat. N43 Ngemah now is about the hottest seat according to many in the political field. 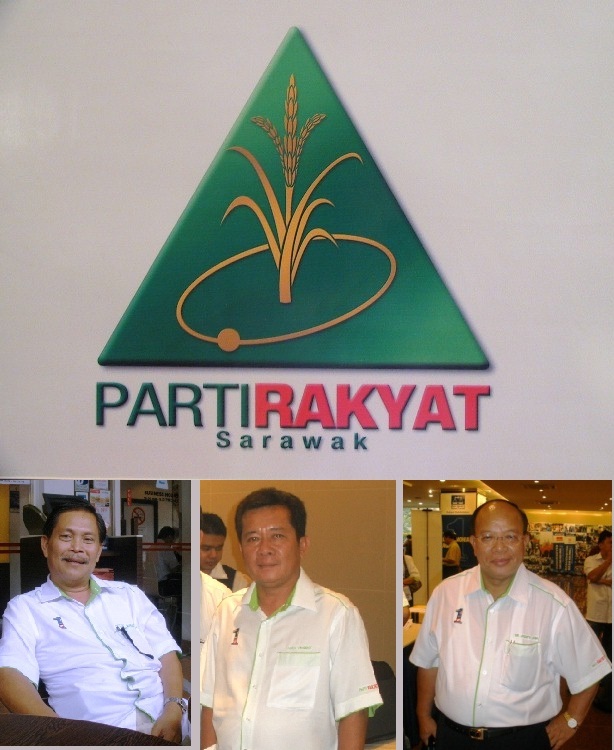 Firstly,it was won by an independant candidate Gabriel Adit formerly of the defunct PBDS then SPDP, moved to PKR and now is the PCM Sarawak Chairman. PRS is confidently making inroads into this seat which they losts and the aspiring candidates are already quietly claiming within the BN circles that Gabriel Adit will be detrone. We have to look back at this article in which we posted on November 2008 to have a better understanding of the whole situation. Though the whole political equation has changed we must be reminded of how it all started. Malaysiakini today carried this report http://www.malaysiakini.com/news/92986 It is learnt that many members of a Dayak-based state BN component party will also be handing over their application forms to PKR advisor Anwar Ibrahim during a 300-table dinner organised by ‘Friends of PKR’ in Sibu on Saturday. According to a PKR Senior member in Kuching they have received many enquiries from in and around Kuching and that the Groundswell is indeed encouraging. We are happy that many are embracing to the principles and visions of PKR and we welcome all support. In a local tabloid Parti Pesaka Bumiputra Sarawak (PBB) deputy President Abang Johari said that Gabriel Adit was an independant and so he had the option to join any party of his choice. On BN’s view of independants joining opposition parties he reiterated that they could joinany party saying,” if they want to join PKR,let them join PKR then we’ll face PKR in the next election. It was understood that Adit decided to join PKR after the State BN somewhat refused him into the fold. Masing went on to say that he has heard about the PKR gathering on Nov 15th and that they will be crossovers were expected to happen. A PRS lawyer said ,”the fire has been lighted by someone.” when pressed further by audie61 he said its not too difficult to say who and we know who is involved. As for the rumours of James being BEING COLD SHOULDERED” by Pehin Taib he said don’t read too much into it as it has been sensationalised by James’s political enemies and those driven by jeolousy. Malaysiakini also learnt that Beginda Minda, the ex-publicity chief of PRS president Dr James Masing-led Balleh division who made the news recently with his call on Chief Minister Abdul Taib Mahmud and Deputy Chief Minister Alfred Jabu to resign, and his supporters are also expected to join PKR at the function. 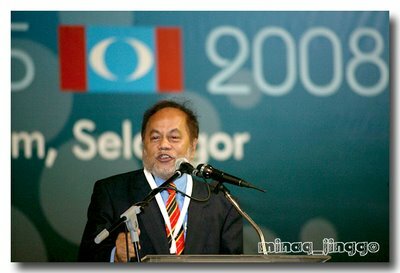 Earlier we wrote that “BN ponders,PKR rejoices” and also we said everyone is talking about ‘Change or be Changed“ Malaysiakini report today has this ,”An opinion poll conducted after the March 2008 general election among the Dayaks in Sarawak indicated that their most popular party is PKR. There are several reasons why this is so, and among the concerns to Dayaks is the way the present Sarawak government handle the Native Customary Rights (NCR) land issue. This has seen growing conflict on the ground between NCR landowners and plantation and logging companies and the government and increasing cases of litigation brought before the courts in Sarawak. It has been reported to that Adit conceded that there is a limit to what he can do, but by joining PKR he hopes to open the doors for other BN representatives to fight for change which he says looks inevitable, given the growing discontentment among Sarawakians against the state government. He would not want to say more except that once he is officially in PKR, he will help his colleagues at state and national levels to build up the party’s grassroots where it counts most ahead of the state elections.” The question ahead of the huge Sibu gathering is after Adit’s entry and that of his supporters applying to join the party at the same time, what significant impact will it have especially in the rural areas. There is no doubt that PKR has more to gain than to lose with more people joining the party and its cause.But PKR Sarawak should not veer from its original stand of wrestling the State and its ultimate objective. The colgate analogy remains the most simplest way of selling the party to the new members and voters. ‘Every morning we use Colgate to brush our teeth and we buy it from the same supermarket in the neighboorhood. Suddenly this entrepreneur comes up knocking at our door and sells the same Colgate. Why would we buy..? He says he will DELIVER it to our door as soon as we call no matter what time of the day or night.” Are we willing to buy just for a CHANGE. ? Same colgate but different approach. Will Colgate be flooding the market with more people talking about PKR Groundswell after they have brushed their teeth. What comes out will be,”PKR is FRESH and PKR is Your Choice”or will this come out,”BN will say obviously,”Politics of Development” Whatever it is, the people will determine which slogan they will buy and who they want to administer Sarawak for them after the next State Elections. PRS/PCM or PKR..YOU REALLY ARE CONFUSED.?? The Old Chapter where BN/PRS losts in the State Elections in 2006 will remain closed. Even if we dug deep now to give a full fresh intelligence report nothing will change. However events have sinced overtook the Incumbent Independant YB Gabriel Adit. Many have stayed and found a new home with PKR but he himself soon found out that PKR was not his cup of tea. Obviously the leadership of PKR wished him well when he joined the newly founded Parti Cinta Malaysia(PCM). Now the incumbent from PCM will be facing a BN/PRS candidate again in Alexander Vincent who losts in the last outing. A holder of Masters of Science Alexander Vincent now 48 knows that the BN would not want him to be defeated but to WIN. Ever since his loss when he was touted as “GREENHORN“by the mass media then he has worked very hard on the ground to win back the support BN losts to YB Gabriel Adit. Adit has flipped flop in and out of BN as and when he politically needed to. He has thus far survived. Meanwhile, Alexander has been seen on the ground according to the constituents/voters VERY FREQUENTLY at least once a week for the past 4 years. Of course this is when his time permits and the 7849 voters will not begrudged him as he will come back stronger as his business stabilises. The voters will need an Assemblyman who not only will be the Ngemah N43 voice in the State but also one who will ensure that their ECONOMIC ASPIRATIONS of the constituency will be raised. We were also informed by our reliable sources that a Dr.Jawa (retiring soon) is also pushing for a ticket under the BN. He has sinced joined PRS to be in with a shout and to be considered . On ground reports and other sources it is a choice between the two. BN/PRS would not make a similar call by putting their hopes and trusts into a FRESH FACE. The Sarawak BN Chairman has been very happy with reports that eventhough Alexander losts in 2006 and now is being challenged he is still going round the constituency to wrestle the seat back for Barisan National. That in a way is a PLUS FACTOR. BN will be rests assured this time round BN will not come out SHORT.ITS A NEW CHAPTER. 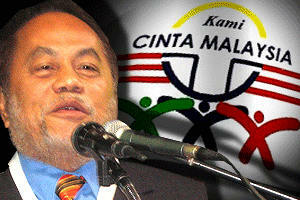 Besides PCM there is a high possibility that a local will be fielded as a candidate from PKR. The PKR hierarchy remains tightlipped but they have identified a number of suitable candidates. Will Ngemah see a PCM versus BN/PRS and PR/PKR plus a few independants. It seems the Sibu p212 victory by DAP has seen many aspiring candidates joining the fray. No one wants to miss the boat for an office in the new DUN. The battle will surely rage on and Aleaxnder Vincent hopes this June 1st 2010 Gawai meeting with audie61 crew will turn out to be a SILVER LINING. 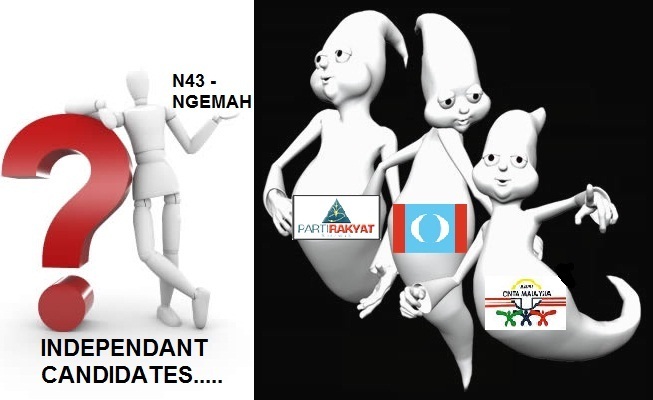 N43 is within grasps by BN/PRS and PCM/PKR will be wondering where and how they failed. PRS President James Masing has a nice headache on his hands and CM Taib will know that his medicine has already been delivered. BN4 will now know that not only they have to contain with PR4 but also PCM. N43 will be a battle not for the faint hearted and there will only be one boat left with the INSCRIPTIONS YB N43 for the winner to board to the DUN. Who is your money on..?? ?